Updated in April 2018 to expand on the information about 52mm filters. Updated in January 2019 to add information about the new Mark III super telephoto lenses. I’ve written extensively in the past about screw-on and rectangular filters for camera lenses, but Canon’s super telephoto lenses have a front element that is simply too large to be used effectively with either of those two filter types. Instead, theses lenses feature a drop-in filter slot that sits behind the rearmost glass element. These are not to be confused with the gelatin filter slots found on the Canon 8-15 f/4 L fisheye, the Canon 11-24mm f/4 L, Canon 17-40 f/4 L and the Canon 14mm f/2.8 L II. Gelatin slots on those wide-angle lenses use pre-cut gelatin sheets that are extremely thin, whereas the drop-in filters for the super telephoto lenses use proper glasses filters. To my knowledge, all previous iterations of these same lenses also had drop-in slots on them. Smaller Canon telephoto lenses such as the Canon 300mm f/4 L IS, the Canon 400mm f/5.6 L, and the Canon 100-400 f/4.5-5.6 L IS II have a 77mm front thread on them which makes them easily compatible with standard screw-on filters. There are three types of Canon drop-in filter. Until the launch of the Mark III super telephoto lenses, every Canon lens with a drop-in slot came with this pre-installed. Simply pinch the two filter buttons towards the centre of the lens and pull upwards to release it. It is fitted with a clear piece of plastic that serves as a first line of defence against large dirt and dust particles entering the rear of the lens when there is no rear cap fitted. When you remove this filter, it’s a good idea to do it very gently so that you any dirt that has collected on it doesn’t get dumped into the lens elements! It flips open so that you can clamp the gelatin into it. Whilst I have personally never seen or heard of anyone actually doing it, you could use gelatin filters in this holder. Wratten filters can be purchased in larger sheets of various densities, and then cut down to the correct size. Generally speaking, these kinds of filters impart much more of a colour cast than a glass ND filter, and they can have more of an effect of image sharpness as well. For this reason, most don’t bother, and simply go on to use the 52mm drop-in adapter. For this reason, starting with the Canon 400mm f/2.8 L IS III and 600mm f/4 L IS III, Canon stopped including the 52mm gelatin holder with the lenses, and instead began including the drop-in 52mm adapter which we will talk about next. This drop-in filter initially comes fitted with a clear glass 52mm filter. The clear filter can be unscrewed and then you can fit other kinds of 52mm filter in its place. The most commonly used filter is an ND filter, although anything that’s available with a 52mm thread size would work, if the diameter of the filter housing is small enough – see below note! Unfortunately Canon haven’t made things that easy when it comes to finding compatible 52mm filters for these holders. I have been unable to get specific official size requirements from Canon, despite multiple attempts with various technical people, so some of this is a bit of guess work and my own measurements. Chime in using the comments if you have info to share! There are two dimensions that are important to finding a compatible 52mm filter, other than the 52mm thread sizing of course! Most people think of the diameter of the filter as being the quoted filter size, i.e. 52mm in this case, but this refers to the thread diameter. The actual filter diameter is a little wider than that. If it’s too wide, it’ll fit in to the filter holder, but you won’t be able to get the holder back into the lens. This will be the most common issue when trying to find a compatible filter. The biggest clue we have as to the maximum size of filter that actually works, is the protective glass filter that comes with the 52mm filter holder in the first place. Obviously if you can find a filter that is the same width as that Canon one, or smaller, then it will fit. By my measurement the included Canon protective glass filter is 54mm wide. To be safe, you need to find a filter that is 54mm wide or less. Unfortunately, this isn’t always a measurement that is available in filter specifications as most people simply quote the filter diameter. In terms of filter height, this shouldn’t be much of a problem. The Canon clear glass protective filter appears to be about 5mm in thickness above the thread, and it’s easy to find filters that come below that measurement. From careful inspection, I actually think a filter that is up to about 7mm in thickness should work, but as I said above, it’s the diameter that’s going to prove more challenging. I really love the Breakthrough Photography filters as they are extremely colour neutral. Unfortunately one of their other features is a brass knurling around the filter to help grip them tightly to get them on and off the lens. This knurling is quite chunky and it means you cannot use the Breakthrough Photography ND filters in the Canon 52mm Drop-In Adapter. I have also tested the B&W Slim 103M series ND filters and these are also too wide to fit into the lens. I have also tested the Formatt-Hitech 52mm Superslim ND 0.9 – It is much closer to fitting than the others that I have tried, but alas, this is also too wide. If you want to go down the route of filing the edges of the filter to make it fit, this one would take the least amount of filing. I would estimate that it is perhaps less than 1mm too wide to fit. 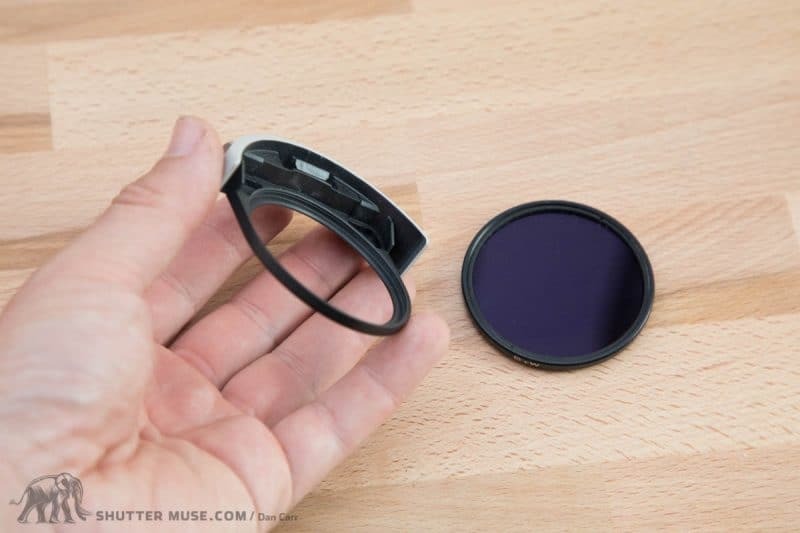 Do you have a 52mm filter that actually fits into the holder and into the lens? Please leave a comment below so that other people can be helped in this quest! Unfortunately the model of filter that I first found to fit, is no longer being manufactured so I’m trying to source a new filter that I can recommend to people for this purpose. Why use an ND filter in such a long telephoto lens? With wide-angle lenses, ND filters are typically used to blur the motion of water or clouds in landscape images, and sometimes to enable you to use a very wide aperture in the mid day sun for portraiture. 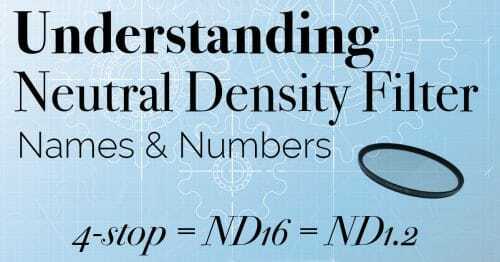 You might consider using an ND filter in a super telephoto lens for one of these reasons too, especially for portraiture with the 200mm f/2, but there are other reasons that are maybe more likely with such long focal lengths. Sometimes you might want to capture a slow shutter speed for a panning shot whilst photographing sports, and this would typically mean stopping the lens down to f/32 to get the slowest shutter, perhaps something like 1/30 of a second for panning with a fast car. Lenses suffer from diffraction at smaller apertures though, so they are sharper when used at something closer to f/8. By using an ND filter, such as a 6-stop ND in the 53mm drop=in holder, you can achieve the same slow shutter, but at a wider aperture. If you nail your panning motion for a perfectly sharp subject, you’ll be using the lens at its peak point of performance. Now, I’ll admit this this is only a small improvement, and it’s very hard to do with such slow pans anyway, but it is potentially a reason why you might want to shoot at a wider aperture with the ND. The second reason you might want to do that is to prevent a multitude of dust spots from appearing on your image. As you stop the lens down towards f/32, every little tiny spec of dust will suddenly become visible in your image. If you’re shooting sports or events for a wire service, where time is of the essence, you don’t want to have to try and clean a ton of tiny specs from your image during the edit! Seriously, this can make a MASSIVE difference to your workflow if you’re trying out some slow shutter pans at an event. Camera’s have gotten a lot better at self-cleaning their sensors, but at f/32, no matter how much care you take of your equipment, you’re going to have little black spots all over your image. With a wider aperture, caused by using the ND filter, these won’t be visible. The third reason you might use ND filters on your long lens if for shooting video. When shooting video, the optimal shutter speed is usually that which is twice the frame rate you are shooting in – sometimes called 180 degree shutter angle. This produces video that looks smooth and filmic, instead of being too jittery and “digital” looking. If you’re shooting video at 30fps, this means a 1/60 second shutter speed, but that’s quite slow for a bright sunny day and it would be hard to achieve unless you cut some light out by using an ND filter. For filmmakers, an ND filter allows them to maintain a nice wide aperture, but also get down to these slow shutter speeds. I doubt it’s worth carrying around a lot of different densities of 52mm ND filters, I find that a single 6-stop ND filter is pretty much perfect for me for this kind of usage. I leave it in the filter holder and that means it’s ready at a moment’s notice. The filter thread on the 52mm drop-in holder is plastic, fiddly and easy to cross thread, so that’s another good reason to just pick one density of ND filter and install it forever. If I was constantly screwing different filter densities in and out, I’d definitely be worried about the thread’s longevity. I like to use the Formatt-Hitech Firecrest 6-stop ND filters because they are extremely colour neutral, and a very reasonable price. 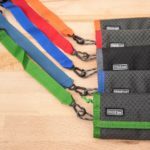 You can use the coupon code ShutterMuse10 to get a 10% discount on all Formatt-Hitech filters purchased from either their US or international store. Circular polarizing filters are useful for cutting down reflections from water and foliage. 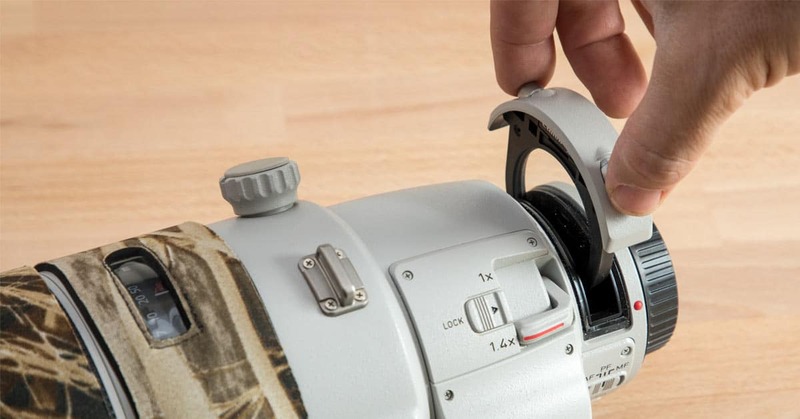 The Canon drop-in polarizer has a small protruding wheel on it so that you can adjust the polarization effect when the filter is in place within the lens. 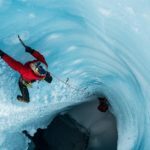 In terms of super telephoto lens subjects, it would be unusual to try and use a circular polarizer for sports photography because the 2-stop light loss caused by the filter is often a problem in terms of getting a fast enough shutter speed. 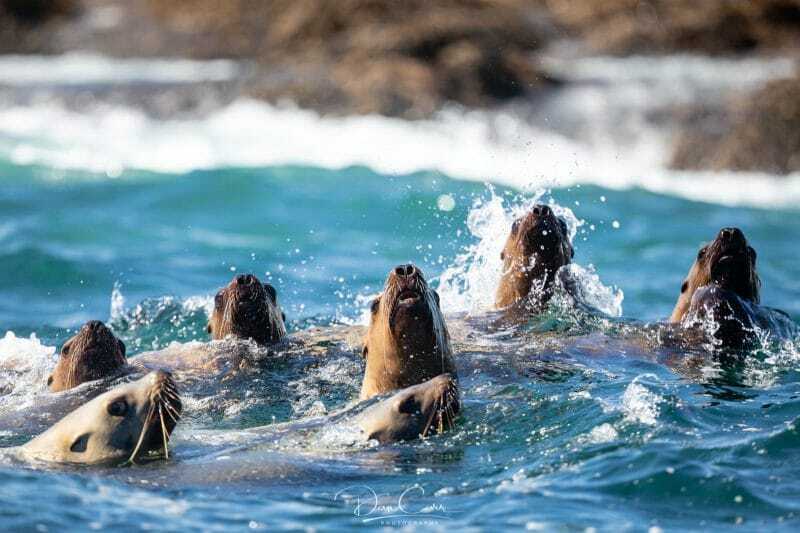 A polarizing filter can be very useful in wildlife photography though, especially when you subject has shiny skin/fur, or is often wet and living around water – an alligator, for example. At the extremities of the day when light is low, you do have to be wary of the light loss but when used correctly it can make a huge difference to your image, and is an effect that can’t be replicated in post processing software. I often find it to be useful when you’re forced into photographing wildlife in less-then-optimal lighting conditions with the sun high in the sky. For this image I used the drop-in polarizer on my 400mm lens to remove a lot of the reflections on the water and really bring out the wonderful blues in the ocean. Personally I’m a huge fan of mountain landscapes shot with a long focal length, I just can’t get enough of the compression effect and wonderful layers you can create. A polarizing filter can really help to cut down on haze in these kinds of shots, and it also removes the shine from wet rocks, and boost the blues in the sky. I love using mine with my 400mm f/4 DO IS II! When I was doing my own initial research to buy my drop-in filters I discovered that some are labelled with a Mark “I” designation, and some have a “II”. Later, along with the introduction of the new Mark III super telephoto lenses, Canon also quietly launched Mark III drop-in filters. The only difference between the three types is the colour of the paint. When Canon introduced the the first of the Mark II IS super telephoto lenses (the 300mm f/2.8 L IS II and 400mm f/2.8 L IS II) they subtly changed the famous off-white colour of the lenses to be even more white, and less beige. The Mark II drop-in filters match the colour on all the newer lenses from that point onwards. For the Mark III super telephoto lenses there was another subtle colour shift in the lens paint, so we get new drop-in filters again. As I said, there’s no functional difference, though, so if you can find a bargain on an older Mark I version or Mark II and don’t mind that it’s s slightly different colour to your lens, you can still use it. Below is the current super telephoto lenses matched to their correctly coloured filters. 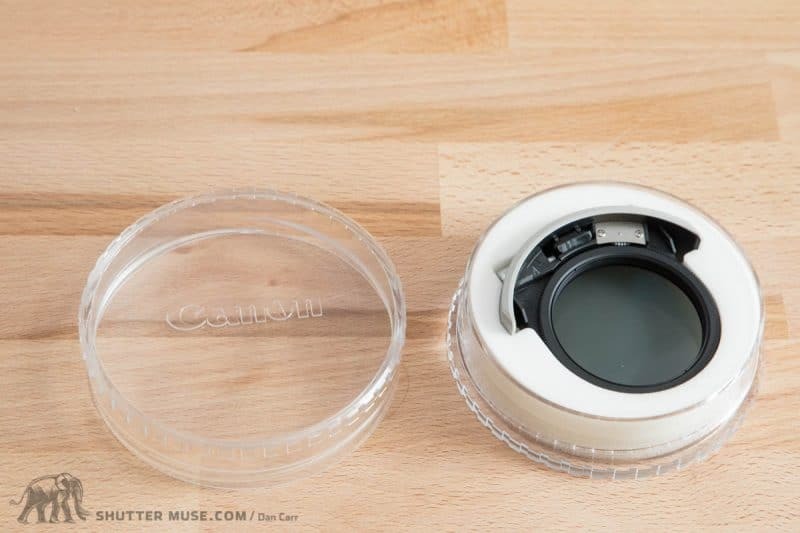 The Canon drop-in filters ship in a circular, plastic protective case. 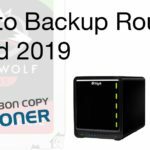 It offers considerable protection, but it’s incredibly bulky and you certainly won’t want to carry them around if you have more than one drop-in filter. 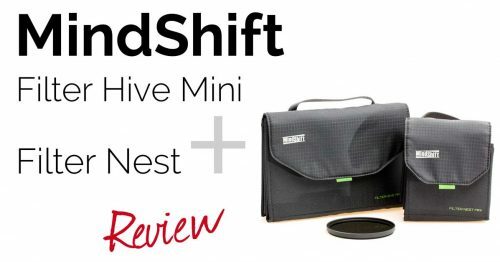 To my knowledge, nobody is making a dedicated third-party carrying case for Canon drop-in filters, but the MindShift Gear Filter Nest Mini ($24.99) is is a near perfect solution. 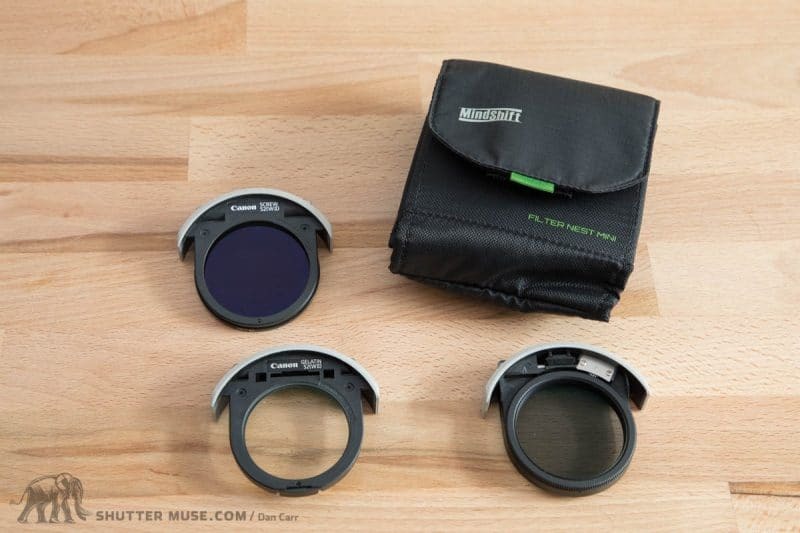 The Filter Nest Mini has slots for four regular filters, but it will comfortably hold three drop-in filters, as well as one additional 52mm ND filter that you may wish to carry for your 52mm drop-in filter adapter. 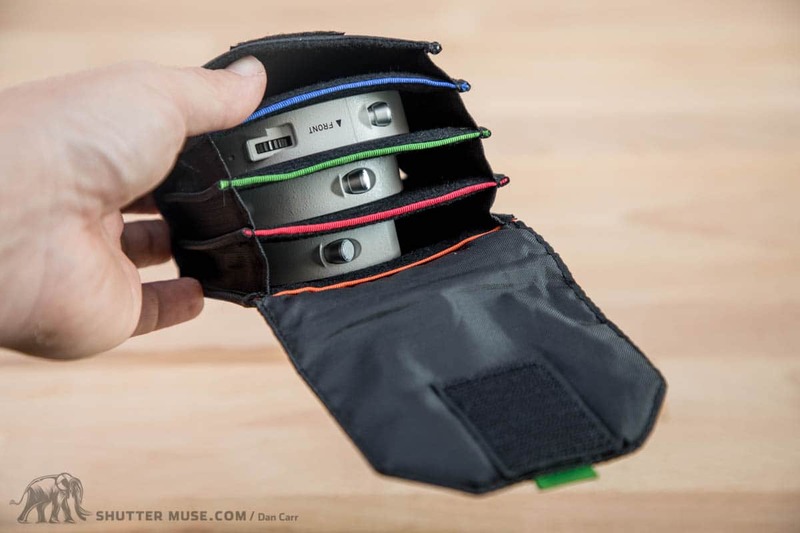 I’d guess that for most people, only two of the slots will get used: One for a drop-in polarizer and one for the drop-in 52mm adapter, and of course you can store the standard drop-in clear filter holder in there whilst one of the other two specialized filters is being used. 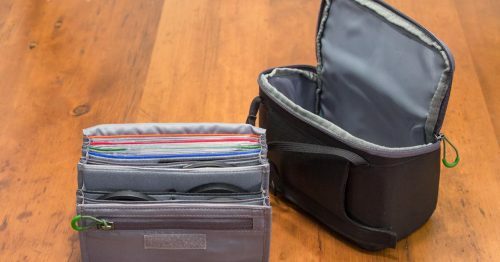 The Filter Nest Mini is well padded, and the grab-handle is useful for clipping to some kind of tether in your bag so that you never leave your expensive filters behind when bags are being packed in a hurry. Perhaps I’m paranoid, but I always try and attach these kinds of small filter bags to my main bag in some fashion. 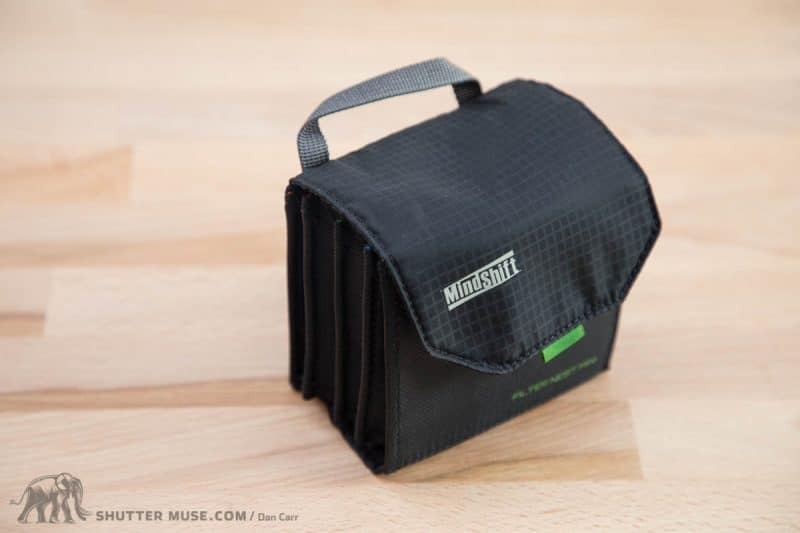 Note: MindShift Gear are good friends of mine, and if you spend more than $50 on their online store after clicking through one of my links, like this one, you’ll be able to select a free gift at the checkout point, such as the excellent House of Cards memory card wallet. I know the Filter Nest Mini doesn’t tip you over that $50 point, so perhaps consider adding a Filter Hive Mini to your order for your square filters, or even the full-sized Filter Hive. The thing that makes the Filter Nest Mini the perfect option for this purpose, is the generous, and elasticated width of the filter slots in the case. There are lots of other filter cases out there with a similar form factor, but they generally won’t accept such thick filters in each slot. Original Canon filter holder is too bulky! In case you were wondering, Canon aren’t alone in offering these kinds of filters for super telephoto lenses. Nikon also make a drop-in circular polarizer, much like the Canon one, but their lenses actually come with their version of the 52mm drop-in filter pre installed (Canon started doing this from the Mark III lenses onwards), and if you want the Nikon gelatin holder then that is an additional (and tough to find) purchase. You’ll also find a drop-in circular polarizer for the Sigma and Sony super telephoto lenses (it exists, but it’s hard to find). There are no third-party drop-in filters for Canon lenses, so you’ll have to buy Canon’s ones if you want them. If you’re a wildlife photographer then I think the drop-in polarizer is a worthwhile investment. 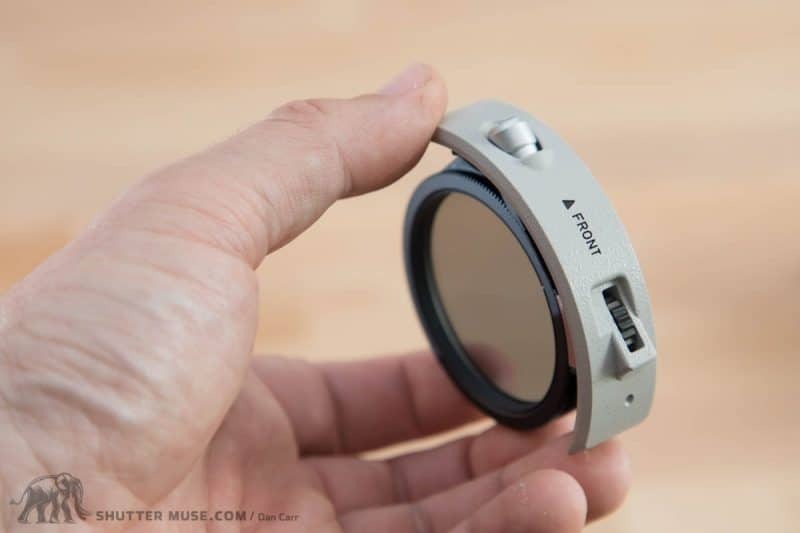 It’s not cheap, but it’s not hugely more expensive than most normal polarizers, and you are putting it in a lens that costs many thousands of dollars. I’ll admit that I don’t use mine that often, but when I do use it I’m always grateful to have it because, like I said before, there’s really no way to simulate its effects in post processing. A polarizer can completely transform the look of a subject such as a fur-covered mammal that has been out in the rain, or it can remove distracting water reflections around water fowl. If you are working in good light, it’s a great addition to your toolbox. Where to Buy + a Warning! 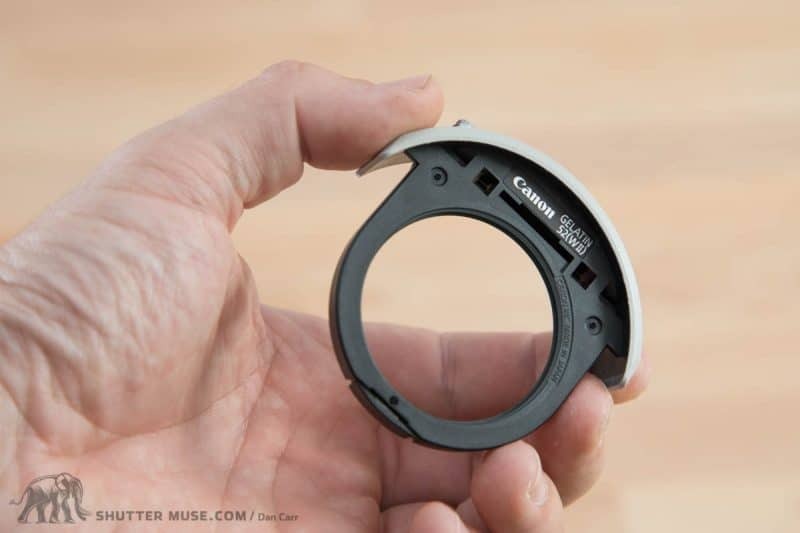 Canon 52mm drop-in holder – Part#4773B001 – This is the one that accepts all 52mm screw-in filters. Canon drop-in gelatin holder – Part#4772B001 – This is what already comes with your lens, so you’d only need this one if you have lost it!! Hi Dan tried to use your link to purchase the filter case and it rejects the affiliate code. 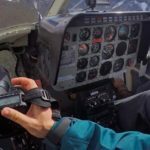 Hi Dan – Do you find that all 52mm filters fit? It seems that one of my ND1000 filters is too thick and won’t insert in to the camera. I have some other filters on the way to test out, but I wonder what percentage of them will fit? I have not experienced this issue myself, but I have had someone else comment to me about this. I did look for an exact specification but so far haven’t found one. I would say “most” should fit. Just get one this is designated as “thin” – ie it doesn’t have a thread on the front of it so you can’t stack it (but that doesn’t matter with these anyway). Nice article, Dan. Thanks. It is a bit difficult finding this information in a believable format. I wanted to mention another area that the ND/CP drop-in filters are important on the supertelephoto lenses. That is for video. Most often a shutter speed is going to be around 1/60 sec when shooting video. If shooting something on a very bright day, you will be faced with too much light, even with one of these long lenses. That is the primary reason I picked up a CP and ND filters for my 500. Ah yes! That’s an excellent point. I’m not sure how I forgot to mention that people like to have 180 degree shutter angle. I will make an amendment at some point. Hi Dan. I purchased a Breakthrough Technology “ultra thin” ND filter and it is too big for my Canon 300mm IS II lens. It is only 3.6mm thick. I wrote to Formatt-hitech asking if they had a filter that would work. They said No. I contacted B&H awhile ago and they couldn’t say any filters specifically work. Everyone says “they all SHOULD work”. But if a 3.6mm thick filter doesn’t fit, why would the others when they are thicker? Am I looking at the wrong dimension? I don’t want to play the “buy & return” game because then I’m just guessing at what will work. The Formatt-hitech Firecrest you say you use is stackable. Therefore, it has a front thread. Yet you say later to look for filters without front threads. I’m very confused. Unfortunately it seems the model of filter I used is no longer available. They actually used to make one without a front thread, but no more. Anyway, that’s actually not the dimension that is causing you problems! 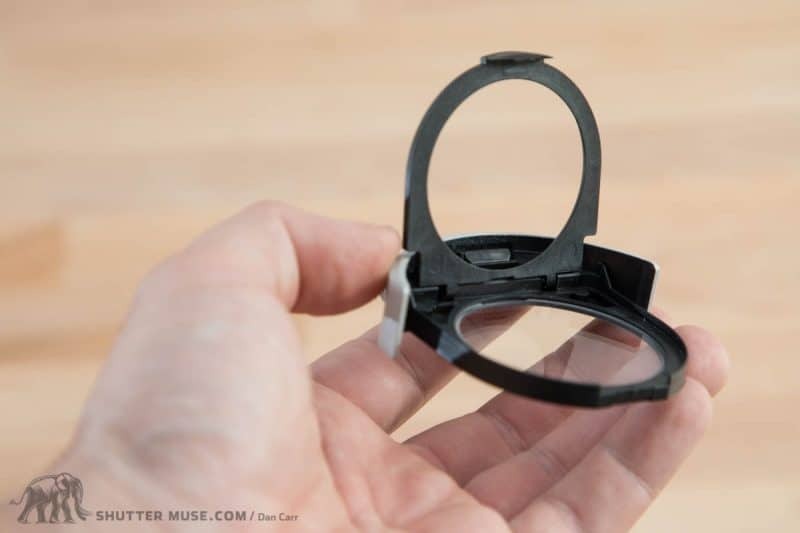 If you look closely as you try and put the holder back in your lens, you’ll see that the filter is actually too wide, not too tall. As far as I can tell, a filter can actually be up to about 6 or 7mm thick and still work, but it can’t be more then 54mm in width on the top. If you get the original Canon protective filter that came with the holder you’ll see that it is thicker than your Breakthrough filter, but the Canon one is not as wide. That is the dimension that’s causing an issue. I have updated this post to include this information, but at this time I’m afraid I can’t help with a solution. I’ll continue to dig.. if you find one that is available and works, please come back and let me know here in the comments! Otherwise it might be a case of buying a bunch from Amazon or B&H and testing them all. They all have simple return policies and if you do the return quickly it’s basically free. Also, just to confirm, I asked Formatt Hitech to send me the 52mm Firecrest filter and I can confirm that it doesn’t fit. It’s VERY close, but it’s a no go. I’m still working to try and find a solution… beginning to wonder whether filing the edges of the Hitech one would be the answer. It’s VERY close to fitting. I have been using the B&W F-Pro ND Filters in 52 mm and they seem to fit my 200-400. Awesome!! Thank you so much for letting everyone know, Victor. I’m close to 80 years young and using an old (very old) Canon FD 300mm f4L with a drop in filter, the “1x”. If I was to cover to opening the filter fits into is there any reason to use the 1x at all? Aren’t I just introducing another piece of glass for no reason? 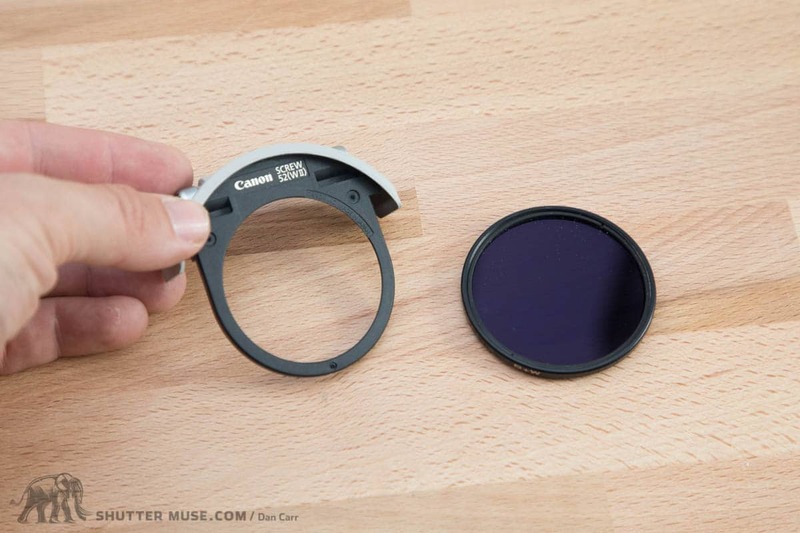 The lens is designed and calibrated with that glass, so you should definitely leave it in there! It also acts as a barrier for dust and dirt that falls into the lens. It’s easy to pull the filter and clean it, but if it wasn’t there then the dust and dirt would find its way much deeper into your lens and potentially between more important elements. I have de 300 2.8 is and the 500 f4 is i shoot surf, the polarized one it is useful? Yeah! I think on a sunny day you would find the polarizer to be very useful for the surfing work. I found this article after I failed to insert a Breakthrough ND filter into my 400mm lens. I filed down 3 bumps from each side of the filter ring, which are culprits for the issue. They always stay at the same place when the filter is tightened, so that the entire ring doesn’t need to be filed. It’s also good that the filter is only a little larger sideways. I hope that we can make a bigger noise so the manufacturers will fix this issue in the future. That’s great information! Thank you! Hallo may be that a gelatin filter holder can reduce lens sharpness / MTF/ compared to a clear glass filter ? That’s definitely possible, yes. They can also introduce a colour cast. Hello and thank you! This may sound like a silly question, but I have an old Canon 300mm f/2.8 IS and I can not remove the gelatin filter from the filter holder. All the screwdrivers I have, do not work, even though the size is adequate. Am I failing at something? The optics of the lens are designed to include a filter at that position in the lens barrel. I suspect that if you simply removed the glass filter it would actually mess with the design and make your images softer. The filter is also there to catch large pieces of dirt and dust and stop them entering the more fragile and difficult to clean parts of the lens interior. You definitely do not want to shoot without a filter there!